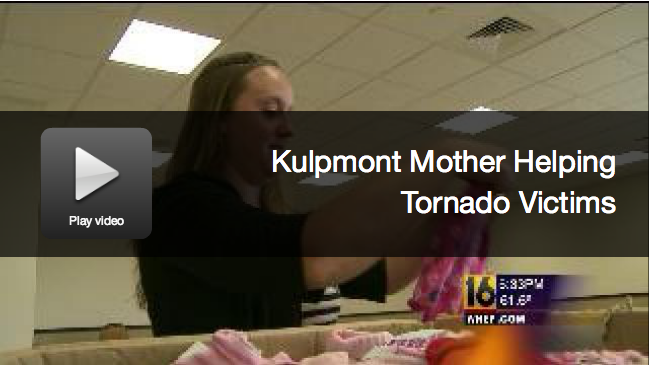 KULPMONT — A mother in Northumberland County watched the devastation caused by the tornados in Oklahoma and decided she had to get involved. Jessica Mirarchi of Kulpmont has been spending a lot of her time bringing donations of clothes and toys to the Kulpmont Fire Company Number 1. It’s being used as a staging area. Mirarchi said it’s all to benefit the tornado victims in Oklahoma. Crystal Wilhelm of the Kulpmont Fire Company said members were glad to help. Mirarchi explained it didn’t take much to get her motivated. The toys and clothing won’t be sent directly to Oklahoma. Instead the items will be trucked to Usagain, a Wilkes-Barre company. The firm will recycle the items and sell the material to thrift stores in the United States and abroad. Katherine McDonald of USAgain said her company will donate $1,000 to the Red Cross on Jessica’s behalf. The final day of Jessica Mirarchi’s donation drive will be Saturday between the hours of 9 a.m. and 2 p.m. at the Kulpmont Fire Company Number 1. At that time she’ll be accepting donations of clothing and toys for the Oklahoma tornado victims.